Click here to watch the demo (1:40, AVI format, 4 MB). 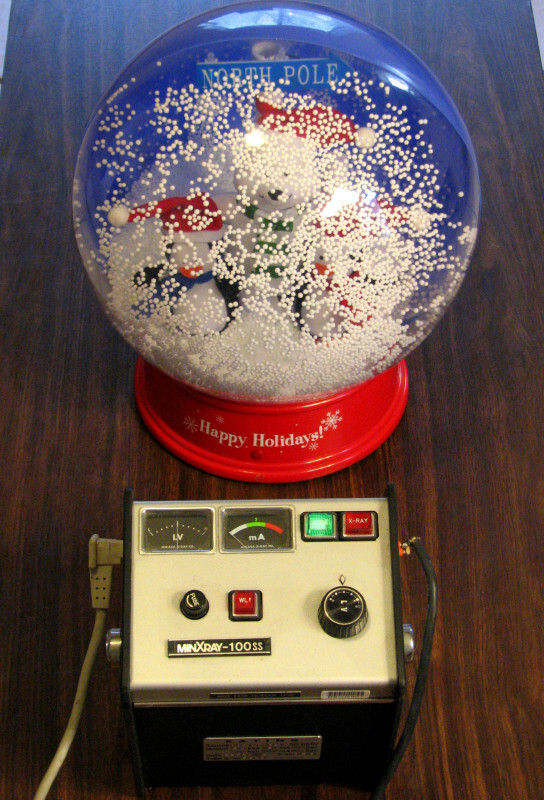 The forced-air snow globe has become a popular piece of holiday decor in recent years. But, as the Wikipedia article mentions, this toy is menaced by static cling: “snow” adheres to the inside of the plastic globe and refuses to fall. (Presumably, the globe and the snow become triboelectrically charged during operation.) So how do you instantly exorcise this static cling from your snow globe? Simple. You expose your snow globe to a powerful beam of ionizing radiation. 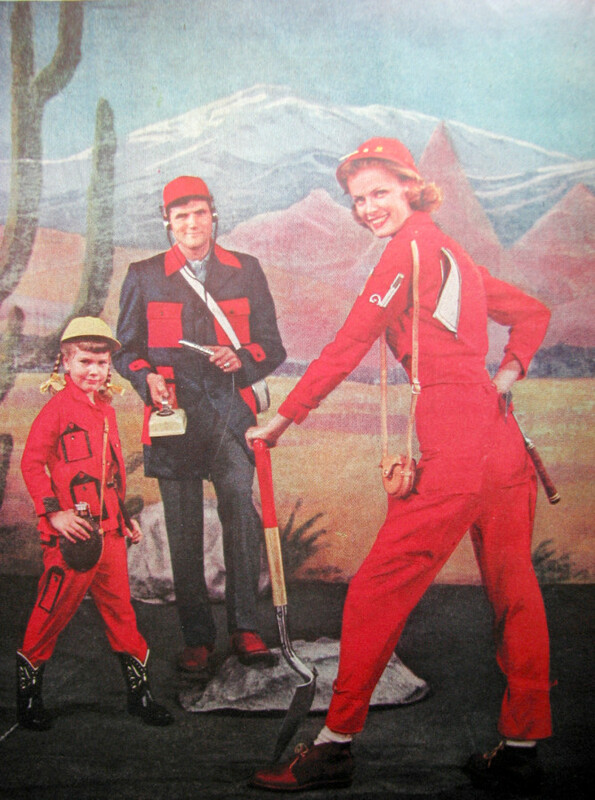 Here’s a little flashback to 1955, when the uranium boom on the Colorado Plateau was in full swing. The AEC was offering stratospheric premiums on new domestic uranium discoveries as the arms race with the Soviets accelerated. An impoverished Charlie Steen had discovered the Mi Vida Mine three years prior and become a multimillionaire, and his rags-to-riches story, along with many others, caught the country’s imagination. Toting around a Geiger counter looking for hot rock became popular—and even fashionable, according to this fanciful illustration from the May 23, 1955 issue of Life Magazine. You are currently browsing the Special Nuclear Material blog archives for March, 2008.